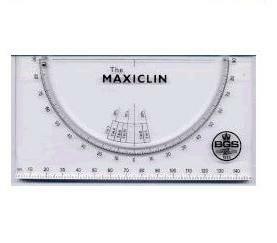 Suitable for professionals who need to measure vertical angles/heights (Clinometer) and compass bearings. For Geologists, Surveyors, Speleologists, Miners, Satellite dish installations, Engineers. A compass with a traditional type of base plate. 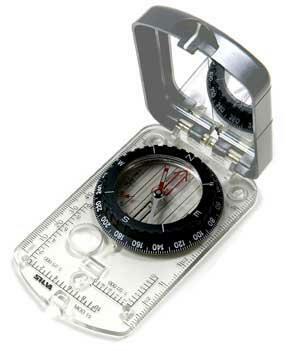 Built in magnifier for detailed map reading. Declination adjustment facility and various map measuring scales. Easy to grip compass capsule with graduation ring with a clear graduation for fast and accurate readings. Luminous points for night navigation. Sapphire jewel bearing with short settling time. Clinometer, Romer Scale and declination adjuster. 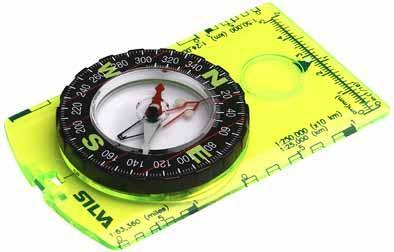 This is the recommended compass for Students on field trips. 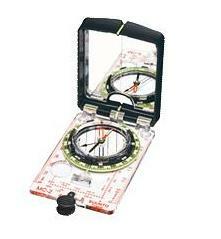 Accurate and reliable clinometer for geological fieldwork. 90-0-90 degrees. Used by students on geological field expeditions and recommended by Universities. Heights can be calculated using the appropriate formula by taking the angle reading from the clinometer.